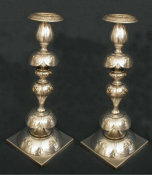 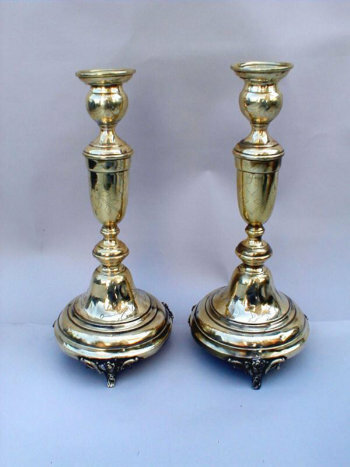 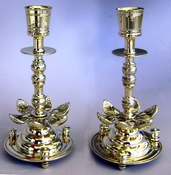 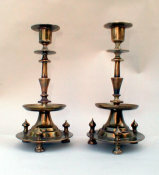 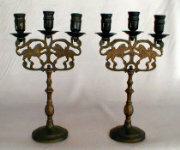 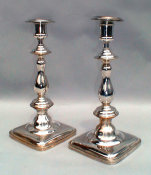 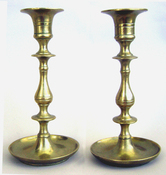 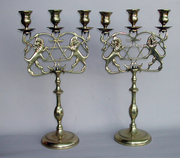 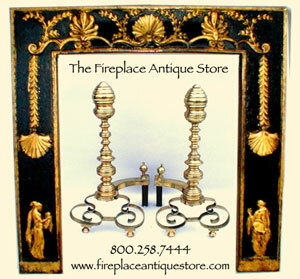 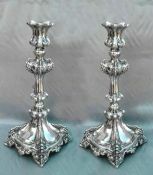 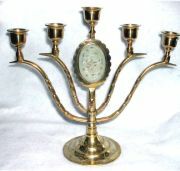 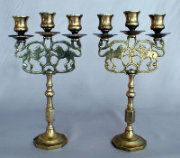 Austro-Hungarian Sabbath Candlesticks sit on floral form tripod footed bell shaped bases. 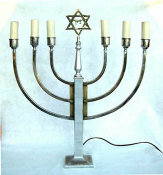 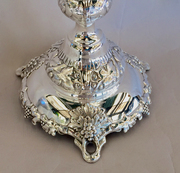 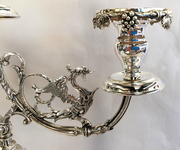 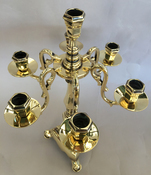 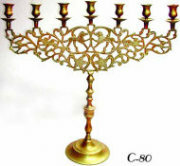 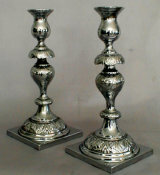 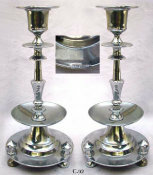 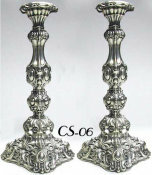 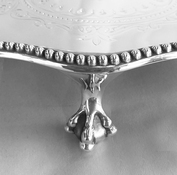 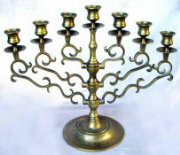 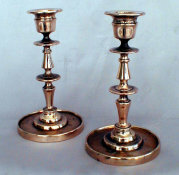 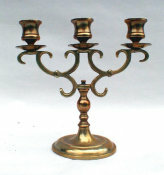 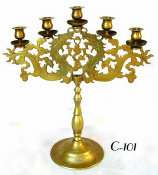 Baluster stem is knopped with engraved floral decoration on stem and candleholder. 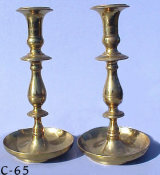 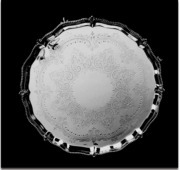 Some scratches on underside of candle socket.